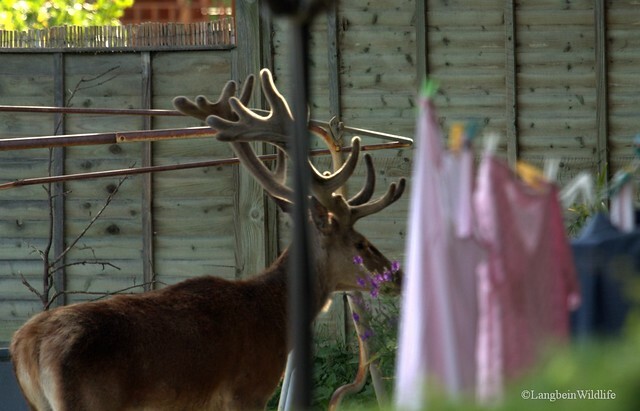 As some red deer gradually adapt to living amongst us in suburbia – can we too adapt to accommodate our largest terrestrial mammal living on our doorstep? Some 35 years ago, when I began to undertake research into the behaviour and ecology of Britain’s deer, residents in the suburbs and in city centres were only slowly getting accustomed to the colonisation of their residential gardens and parks by ever increasing numbers of ‘Urban foxes’. Deer back then in the 1980s were still regarded by the majority of people as shy, elusive creatures who were rarely seen near built up areas unless enclosed in a deer park. However since the 1960’s, the six species of deer living wild in Britain have greatly increased in numbers and distribution. At the same time, urban sprawl has expanded even further into areas of former deer habitat. Roe, our smallest native deer, weighing in at not much more than 20 to 25 kg, were the first to become a regular sight on the urban fringe, especially in southern England and the Scottish lowlands. 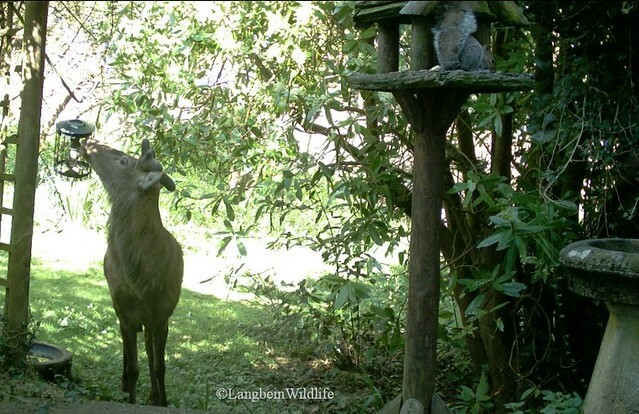 During this time whilst in the ungulate research group at Southampton University my colleagues and I were increasingly called upon to catch and remove roe deer trapped in local residential gardens. 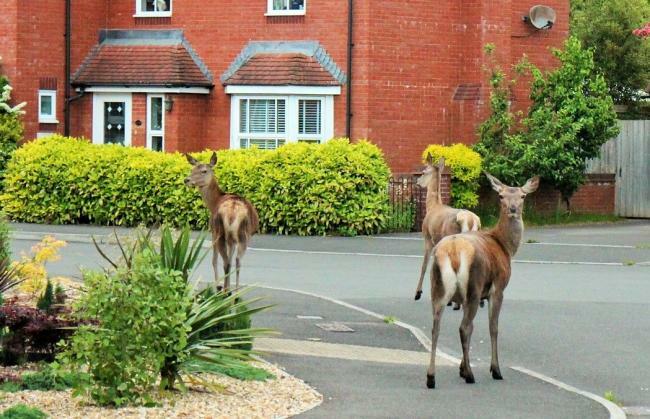 Tolerated and indeed enjoyed by many who like seeing deer in their gardens, media reports about urban roe – and now also the smaller introduced muntjac deer – are unexceptional nowadays. While some relate to irate residents complaining about roe munching their roses and shrubs in gardens and city cemeteries, more often they concern deer in need of rescue after falling into steep sided canals, stuck in garden railings, or attacked by dogs. Higher numbers of deer-vehicle collisions have inevitably been another consequence, nowadays no longer just a rural issue, but equally frequent in peri-urban areas, where traffic volumes are often greatest. 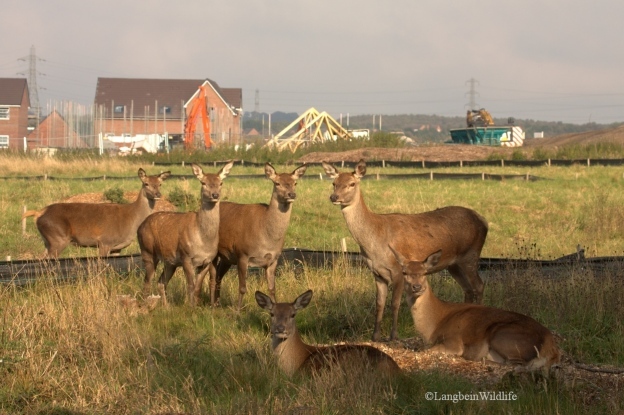 While the smaller deer species, and in some cases also fallow deer have been living in suburban areas and some cities for many years now, how about our largest British wild land mammals – The Red deer. Will they too start to appear in our suburbs and gardens? Well – in actual fact red deer are already established on the edge and indeed now within some towns in England. Since the Middle Ages right up until the 1950’s these majestic animals were largely restricted to remote upland areas, in particular the Scottish Highlands, south-west England and the Lake District, with just a few smaller scattered populations elsewhere. Several of the latter small pockets of feral red deer, usually derived from just a few animals that escaped from deer farms or were reintroduced deliberately by various ‘deer enthusiasts’ over the past 30 years, have expanded very significantly in the last decade, leading to increased reports of red deer sightings right across England. 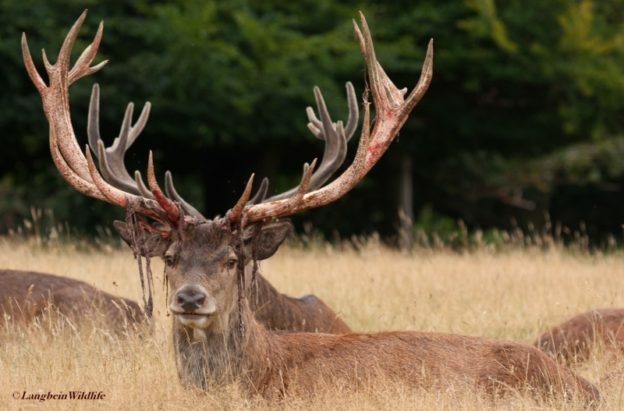 Standing at up to 140 cm at the shoulder, even red deer females commonly weigh in at near 100 kg, while fully grown stags may exceed over twice that weight. Over the last two years I have been observing and filming a number of different groups of red and fallow deer in Somerset, Essex and Staffordshire. These deer all, for a large part of the year, frequent residential gardens, derelict industrial sites or housing developments. 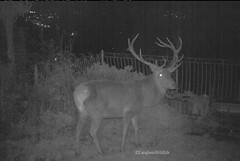 Initially in a tiny private garden where the owners had reported seeing deer droppings, I was astonished during the first night to catch on my wildlife trail cameras not only a Roe buck, but a day later, a large red deer stag (photos above). Understandably – I was hooked! Since then in addition to the use of trail cams I now venture out regularly to catalogue and film them through the seasons. 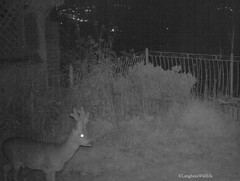 In observing the spread of deer into residential areas in England and Scotland, one of the things I have found most fascinating is that although red deer are perhaps the most recent species to do so, they appear to adapt and start to trust people much more quickly and completely than other deer species. 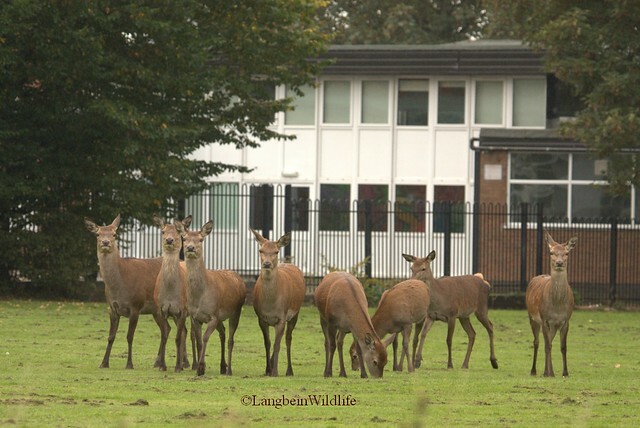 When I first observed red deer in gardens where the residents fed them, I thought they had learnt to recognise and trust particular individuals (and at times their dogs! ), as at first they remained wary of me and others. More recently, as wild red deer in several areas have started to tolerate me approaching them, sometimes as close as 8 metres (25ft) away, they appear probably more so to sense how I behave and react to their own movements than recognising me personally. Deer in most situations will seek to avoid being surprised by a potential threat close-by. This is due to an innate defence response against their past natural predators such as lynx or wolves. I have changed my behaviour so that when watching deer I now often find myself not crouching and hiding behind bushes, as a typical camouflage clad stalker or wildlife photographer might do. Instead, once within their normal flight distance I make a point of letting the deer know where I am, talking quietly to them and at times turning as if about to leave – though more often than not, I stay. 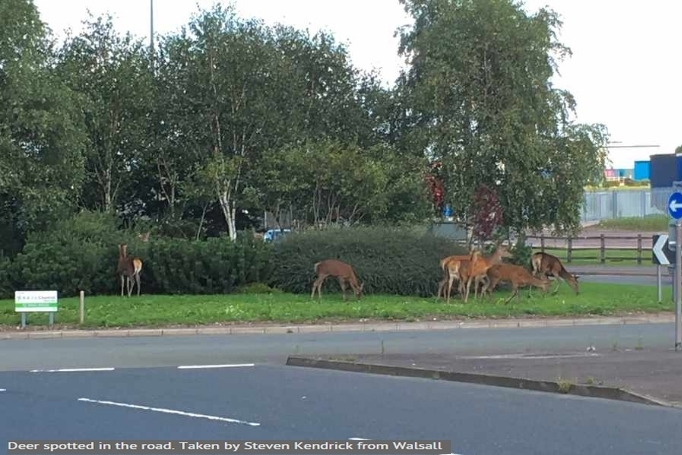 On one recent occasion when I was filming near a building site, just as I thought I had got too close to a group of deer, I knelt down to adjust settings on my video camera. When I looked back up the deer had come even closer and several had started to sit down within 8 metres in front of me on a pile of wood shavings. This was clearly a regular favourite resting place for them. After sitting with them for some time, watching as they chewed the cud, I retreated slowly so I could film myself in front of the video camera, before leaving them in peace (see video at top). 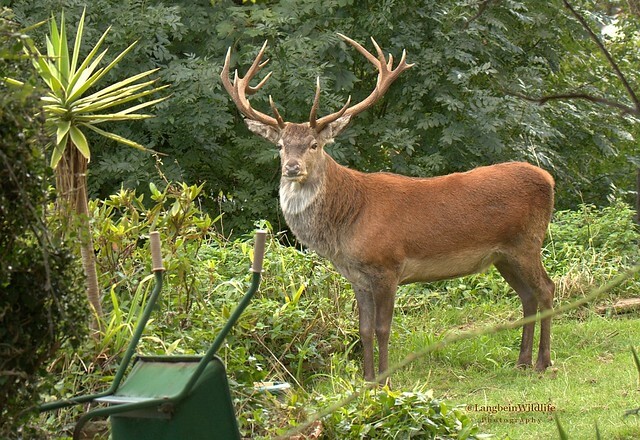 The film clips and photos below and above are all of entirely ‘wild’ red deer in England. They show how at ease the deer appear in their favourite garden haunts where they feel safe, or even on land being developed for housing that deer have used historically and still continue to do so whilst builders and noisy diggers go about their work. It is evident that red deer, can and in some areas already have adapted to living in amongst our urban sprawl and industrial developments. In case of the deer in the clip above expansion of their population has in fact benefited and numbers increased over the past twenty years as brownfield sites on former coal mining land were reclaimed and developed into heath and scrub, while only some other parts are now developed for housing. However, whilst deer of all species have gradually adapted to living close to us, many people often remain blissfully unware of their nightly garden visitors until the deer become so bold as to stay during daylight as well. Inevitably there are consequences and challenges ahead, both for deer health and welfare on the one hand and public safety on the other. 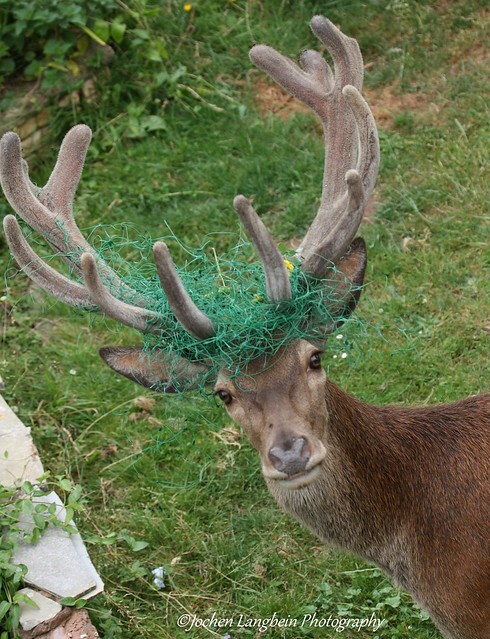 Deer in suburban areas are prone to getting wire or rope that has been left lying around, caught up in their antlers, to eating inappropriate low fibre feed (white bread / burgers!) given to them by well-meaning members of the public, as well as to eating discarded plastic bags or yoghurt containers and the like, or getting stuck in park railings. Supplementary feeding of wild deer is generally best avoided in any case, not least where this may lead to large groups of deer congregating closely in one place, increasing the risk of picking up and onward transmission of parasites and diseases such as TB. For residents in areas with urban deer some further increase in deer damage to flowers and other unprotected garden produce as well as amenity tree planting is likely. A higher risk of road traffic collisions with deer in suburban areas may also be predicted throughout the UK, unless steps are taken to calm traffic and deter deer from crossing highest risk road sections, and if possible provide relatively safer wildlife crossing structures (underpasses) elsewhere. 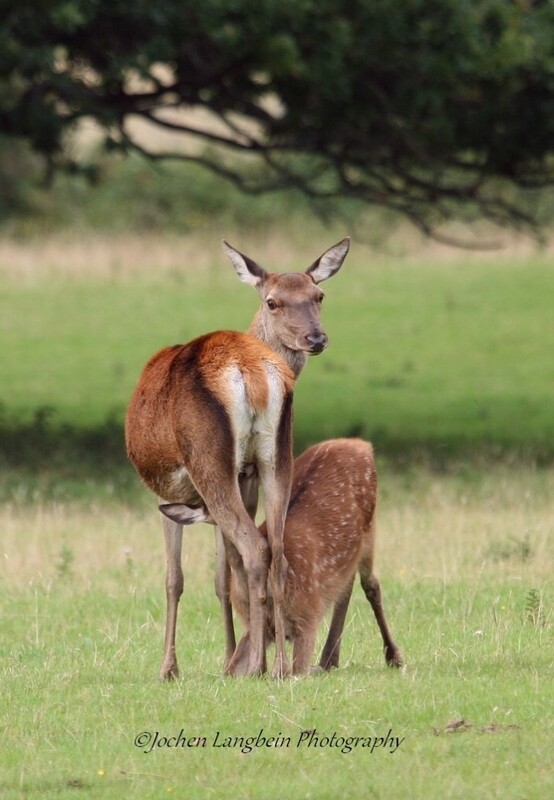 Collisions with the large deer species can be particularly serious, although thankfully red deer do appear to have somewhat better road sense and awareness of traffic compared to their smaller more flighty cousins – fallow, roe and muntjac deer. No prizes for guessing who has been at the strawberries! This entry was posted in Deer, Wildlife and tagged Deer, development, Red deer, Red deer rut, Rothirsch, Rotwild, Urban deer, Urban ecology, Urban wildlife on October 23, 2016 by jochblog.